initiative. Because the Line Islands are so remote, they're a great place to study what the ocean looks like with minimal human influence. But even though the islands are hard to get to, it's easy for you to go along for the ride. You can track the crew's progress using the maps on the Ocean Now site and in the Ocean Expeditions layer in Google Earth. They'll be posting photos and videos on a regular basis, and you're invited to ask questions of the crew and explore along with them. What kind of person decides to leave Tahiti because it's just not pretty enough? Enric Sala. He and a team of explorers recently set sail from Tahiti to visit the Southern Line Islands as part of National Geographic's Ocean Now initiative. Because the Line Islands are so remote, they're a great place to study what the ocean looks like with minimal human influence. But even though the islands are hard to get to, it's easy for you to go along for the ride. 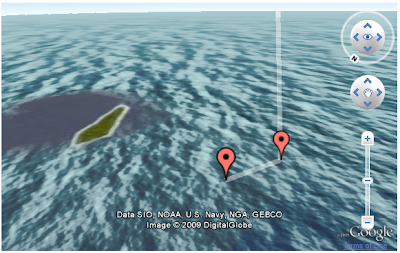 You can track the crew's progress using the maps on the Ocean Now site and in the Ocean Expeditions layer in Google Earth. They'll be posting photos and videos on a regular basis, and you're invited to ask questions of the crew and explore along with them.